Planning a trip to Scotland and wondering how to narrow your itinerary down? 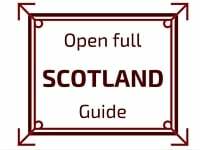 Discover my selection of top 5 Scotland Destinations. This list, with pictures, shows you why I think they are must-sees. And if 5 is not enough, I am also introducing other interesting Scotland Tourism destinations. So you already have narrowed your travel destination from the Earth to the UK and from the UK to Scotland. Great! But still, Scotland is big and you probably don't have 6 months... So here I come with a list to help you narrow down even more and plan your Scotland vacations. My selection is all about landscapes and scenery: Which regions made me go WOW and WOW at every turn? Many people will be surprised not to find the Trossachs in my list of most beautiful places in Scotland. It is a very popular place. The reason is I did not find it as scenic as the rest. But don't worry, I still give you a list later in this article of other regions you could check out and include in your trip. Area North West of Glasgow around the Town of Glencoe and the Ben Nevis Summit. No surprise here. As the most mountainous region in Scotland, Glencoe is number one of my top 5 Scotland Destinations. The beautiful landscapes were formed by volcanic activity and shaped by glacier until 12000 years ago. Loch ﻿﻿Leven is, to my opinion, the most beautiful Loch in Scotland. It is narrow enough and surrounded by very high summits. The main road goes on a bridge over it. I recommend taking the time to do a detour and drive all around. Where is the Isle of Skye? Reached able by ferry from Oban or by car. It is a ​4h drive non stop from Glasgow to the Bridge. Why visit the Isle of Skye? No surprise here. The isle of Skye is considered on of the most beautiful islands in the world. And it deserves its spot as one of the top Scotland tourism destinations. The island as a mountainous venter and rocky slopes. The landscapes are quite dramatic and surprisingly varied considering it is an island. Here it is all about nature. There are many 'classics' to visit on the isle of Skye and, if you need info, they are included in my full list and map of things to do on Skye Island. But my favorite are not among them. Fairy Glen is a small area off the beaten track where you find a miniature loch, small conic hills and miniature mountains. It really feels like fairies could be appearing. Loch Langaig is up to the North. This small lochs is in front of an interesting layer of mountains. The bonus is that coaches can not reach it, so no herds of tourists! Loch Coruisk can only be reached by boat from Elgol or hiking. This wild loch is niched in the Cuillin Mountains. Located on the North West Coast of Scotland, the region is between Lochcarron and a little North of Ullapool. Ullapool is only 1h20min drive from Inverness. 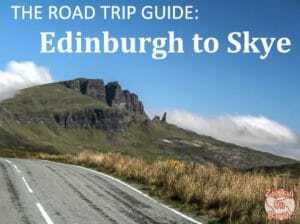 It is a great detour to drive after visiting the isle of Skye. The Wester Ross area is a great place to immerse in nature. It is sparsely populated with many fascinating geological features and stunning landscapes which range from pink beaches to intense blue loch and crest shaped mountains. The area is peaceful with stunning landscapes and a different atmosphere. 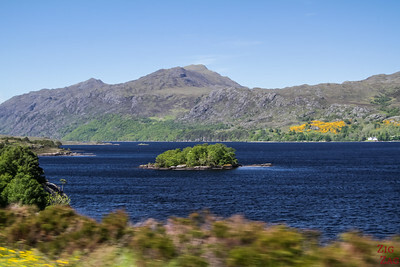 Loch Maree is definitively the main attraction of Wester Ross. The long deep blue loch is magnificent. But just driving around Wester Ross is very rewarding. The scenery keeps changing and is always breathtaking. Where are the Orkney islands? To the North of Scotland. 2 hours by ferry from Scrabster. Mainland Orkney is also reachable by plane. Why visit the Orkney islands? No mountains here but a feeling. There is a place where people have settled for thousands of years. It is the home of well preserved archeological sites in stunning coastal landscapes. Plus there is such a peaceful feeling brought by island life. As soon as we started driving on Mainland Orkney, I felt a wave of relaxation. Wildlife - birds and more especially in the smaller islands but also near cliffs (such as Yesnaby) and lagoons. It might be obvious but hey the whole city is a World Heritage Site! And its is very scenic with hills at all corners for amazing views. Just North of Wester Ross, Loch Assynt seems even wilder and the small road of the Drumbeg detour takes you to some unique rocky landscapes. The highlight is definitively Loch ﻿Assynt. 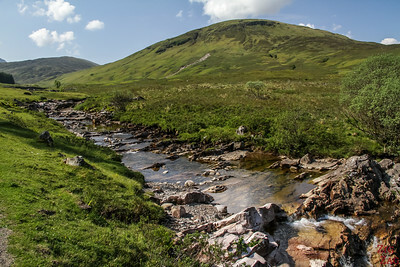 Between the Trossachs and Gairngorms Parks, the Loch Tay region is an area of beautiful hills, glens and loch with remote roads and peaceful landscapes. Have a look at Loch Tay and Glen Lyon as well as the famous Queen's view Scotland. Loch Lomond is one of the most touristic destinations in Scotland as it is very close to Glasgow and Edinburgh. You can hike, fish, cruise... The Park is home loch, mountains and forest. 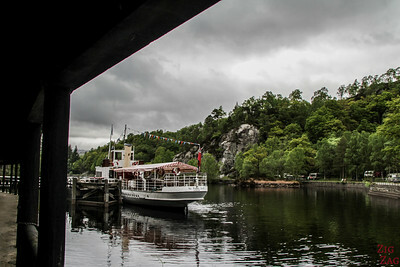 Highlights include Loch Lomond and Cruising Loch Katrine. 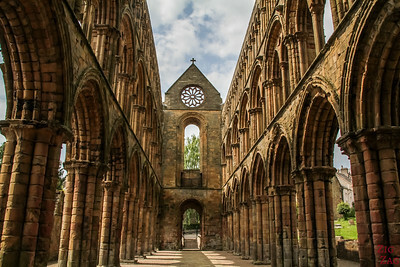 South of Edinburgh, in the Lowlands of Scotland, the Borders have a tumulteous history. 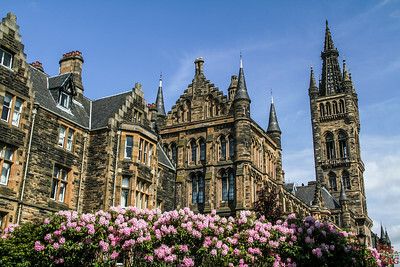 As the largest city in Scotland, Glasgow is often overlooked compared to Edinburgh. Of course it does not have its historical density but it is an cultural hub and home to some very scenic architecture. The Shetland Islands are almost another country. The subarctic archipelago North of Scotland is attractive from wildlife and archeology lovers. Further west from the Isle of Skye, its main islands are Lewis and Harris. Highlights include historical site such as the Callanish Standing Stones and stunning white sand beaches. 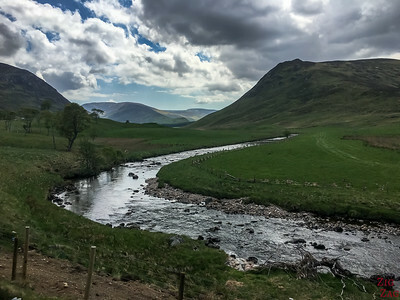 Between Inverness and Edinburgh the Western highland offers a different mountainous landscape from the rest of the highlands. 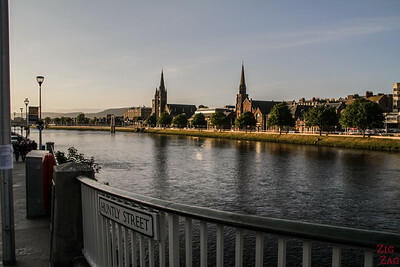 The smaller Scottish Town of Inverness has a lot of water and great old houses. Walking near the rivers is quite relaxing and offers great views of its main monuments. 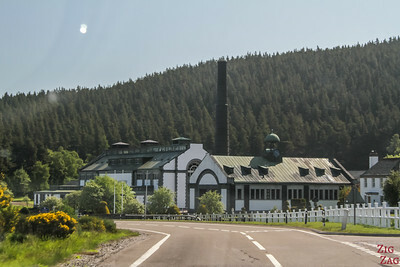 A great place to settle to discover the Loch Ness and tour the Whisky trail in the Speyside. Which Scotland Destinations inspire you? Does the Isle of Skye have a flag? I would like one, for my grand-daughter. My son and his wife visited there and eventually named their daughter after the Isle of Skye. I don’t expect it for free. I’d be more than happy to send a check, to the proper station, to pay for it. A response would be highly appreciated. I am sorry, I don’t know of any specific flag for the island of Skye. And I am a Travel Blogger. I don’t live there.